Enjoy fine dining by the fireplace, overlooking the reflecting ponds in our dining hall. Breakfast, lunch and dinner are served buffet-style in the Center’s dining room overlooking the ponds and wooded hills opposite the main building. Whether you’re a vegetarian or hearty meat-eater, the dining staff provides service with a smile and guests will not be disappointed with the variety of freshly prepared meals. And be sure to leave room for dessert! It seats 300 and is equipped with sound and, literally, is just steps from the lecture hall. The staff can also bring to life any dining experience, both simple and elaborate, either in the dining room or elsewhere on the Center’s campus for your special celebration. 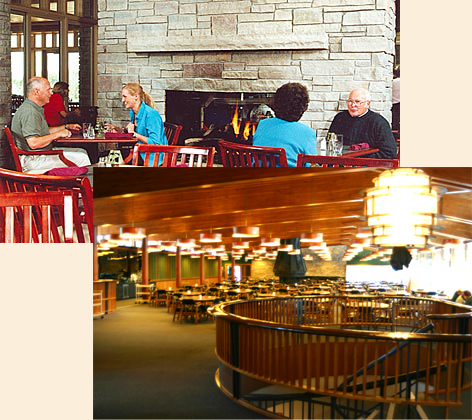 Dining is also available at the Black Lake Golf Club at its premier restaurant, The Clubhouse/Black Lake Grill. Limited shuttle bus service is available to guests for transport. Leave the driving to us. We’ve got you covered. The clubhouse offers guests a spectacular setting to enjoy breakfast, lunch and dinner. After your round, enjoy a cold beverage or your favorite drink in the lounge. A beverage cart is available on the course serving your favorite snacks and beverages. 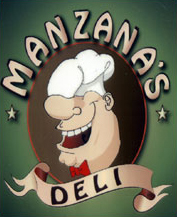 It is open seven days a week for breakfast, lunch and dinner during golf season. Nightly specials are offered at great prices. Sun –Sat 10 a.m. -4 p.m.
Reservations are appreciated. Please call 989-733-7139. Hours: Sun- Thu 11 a.m. – 9 p.m. Fri &Sat 11 a.m. –10 p.m.